This year, we're bringing back our most popular info sessions from the last few years, including 'Gear Care & Repair' and 'Navigating with Map & Compass', with a full-day field trip. All sessions (except our field trip) are held at Bogong Equipment, in our upstairs showroom, from 6pm. The format is fairly casual, with the opportunity to ask questions as we go. The session usually winds up in an hour and a half, so that everyone can get home, and our speakers are generally happy to answer more detailed questions after the session. NAVIGATING WITH MAP & COMPASS: In these days of GPS and mobile phones, is the old map and compass becoming obsolete? Not if our resident expert, Merv Trease, has anything to do with it! If your screen breaks, your batteries go flat or water gets into your electronic device, you'll need to fall back on navigating the old-fashioned way. Over the past few years, Merv's Navigation Workshop at Bogong has been our most popular session, which shows us that many people are keen to hone their understanding of this essential bush safety skill. This is an interactive session, with maps for all (maps may need to be shared, depending on the turnout!). Please bring a compass if you have one. This year, you'll need to book to secure your spot. FULLY BOOKED. CLICK HERE TO JOIN WAIT LIST. 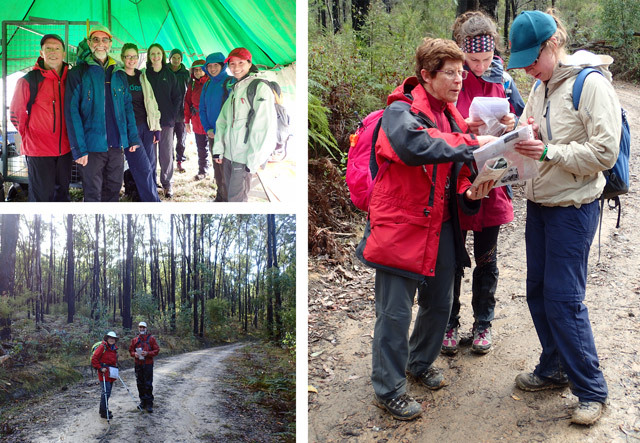 A full day out in the bush, practising the skills you learnt at the Navigation Workshop at Bogong. This field trip will be held at an official Victorian Rogaining Association (VRA) event. You will be required to enter the VRA event, which carries its own insurance for participants. There will be fee of around $32 to enter. Registering for this field trip is essential. To participate in this field trip, you will need to have attended the Navigation Workshop at Bogong (see above). By making a booking below, you are booking a spot on both the Navigation Workshop at Bogong AND the Navigation Field Trip. 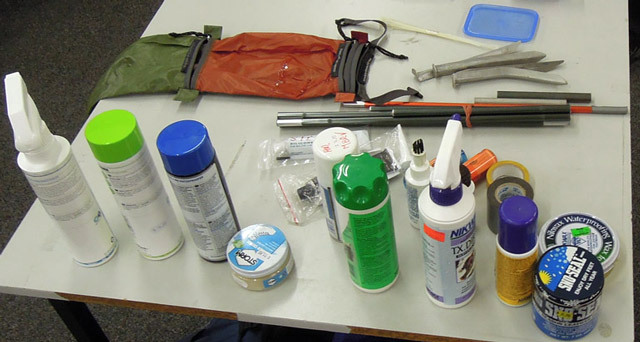 Quality outdoor gear can last for many years, if you know how to take care of it. But after a few years, it's not quite like new. Maybe a bird flew into your tent fly, the floor leaks a bit, your Gore-Tex doesn't bead like it used to. With the right expertise you can rectify these little problems and get many more years out of your gear. Merv retired from Bogong after working for us for many years. He has been heavily involved in the outdoors all his life. His main interests are cross-country skiing, rogaining and long bushwalks. For many years, he worked in education, training outdoor educators. He's also very involved in Victoria's Bush Search & Rescue Unit. In spring 2013, Merv walked the Australian Alpine Walking Track from end to end. Read more about Merv on Bogong's 'Our Team' page. Sign up to our e-newsletter to keep up to date with any changes or additions to the schedule.